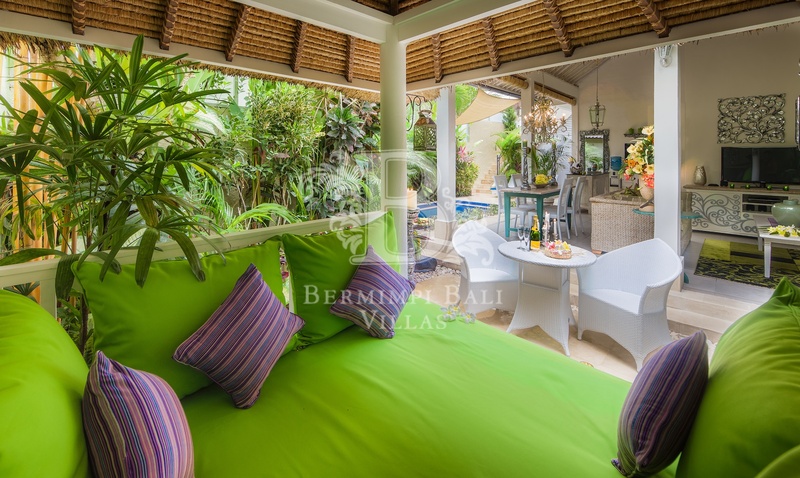 Bermimpi Bali’s 2 bedroom private pool villas near Seminyak beach, a very popular holiday destination in Bali, offers luxurious villa residences for vacation rental. Each luxury holiday home is surrounded by gorgeous tropical Balinese courtyard gardens and bordering your own private pool. 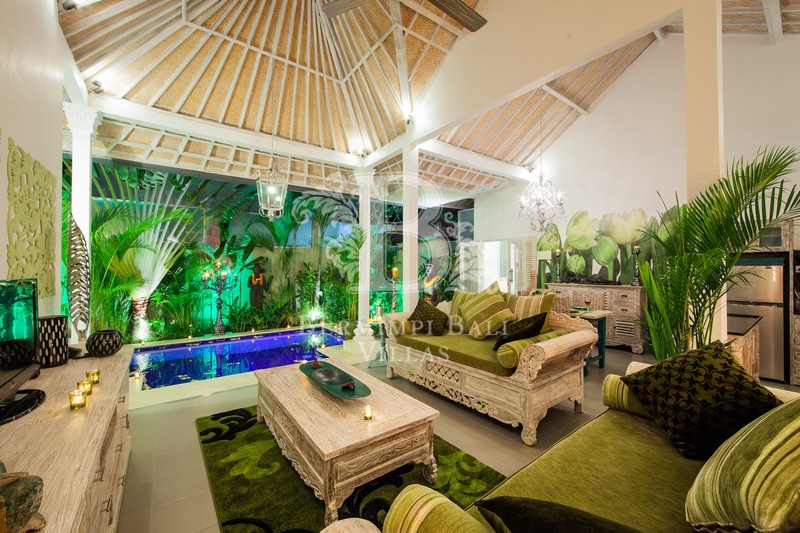 Our private Seminyak villas have been well designed for accommodating 2 couples, friends or a family holiday in Bali. 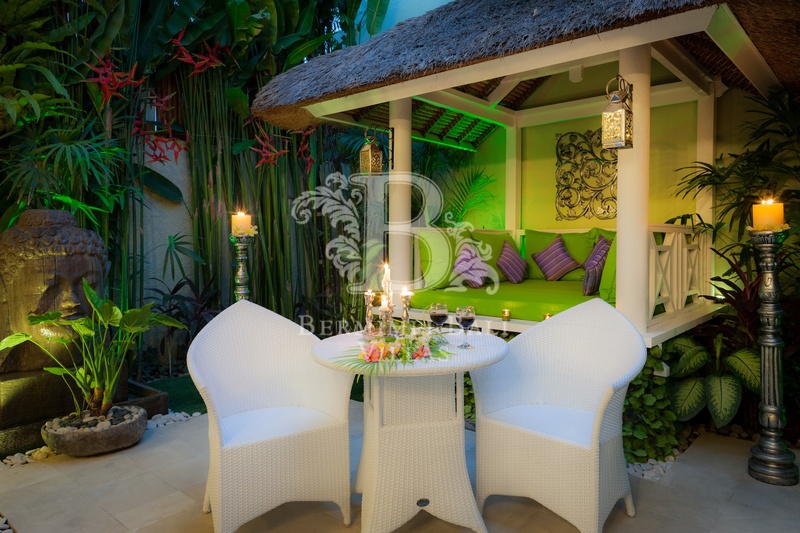 Our 2 bedroom private Bali villas in Seminyak are tastefully designed with all the comforts of a home in Bali and boasts a magnificent living area, relaxing Bali Bale, LCD TV and DVD in lounge and bedroom areas, in-villa hot/cold water dispensers, iPod dock, in-villa security-box, fully equipped kitchen and romantic dining areas. 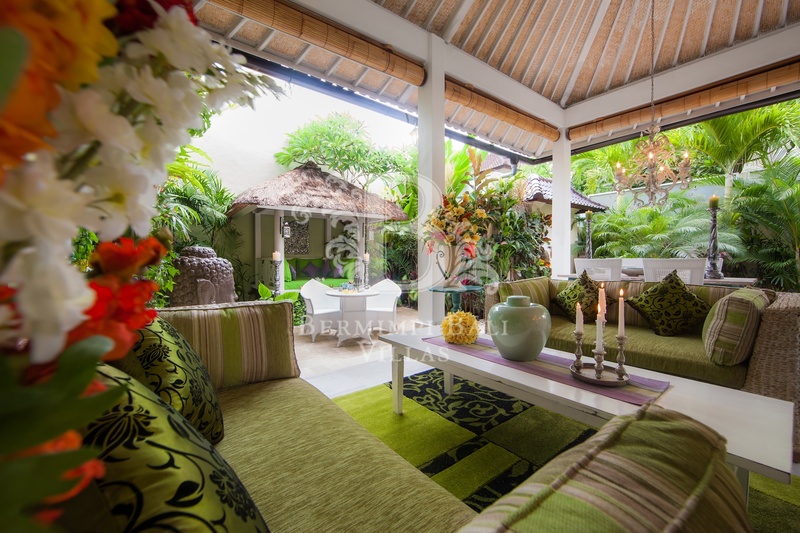 Tropical outside living areas create an ambience inside the villa where total relaxation, privacy and good times in Bali are encouraged. Take a short stroll down to Seminyak beach from your private villa and spend lazy days soaking up Bali’s hot sunshine, lounge around in your villa’s private Balinese Bale or take a relaxing pool side massage on the deck bordering your boutique Bali villa’s own private pool and tropical courtyard garden. 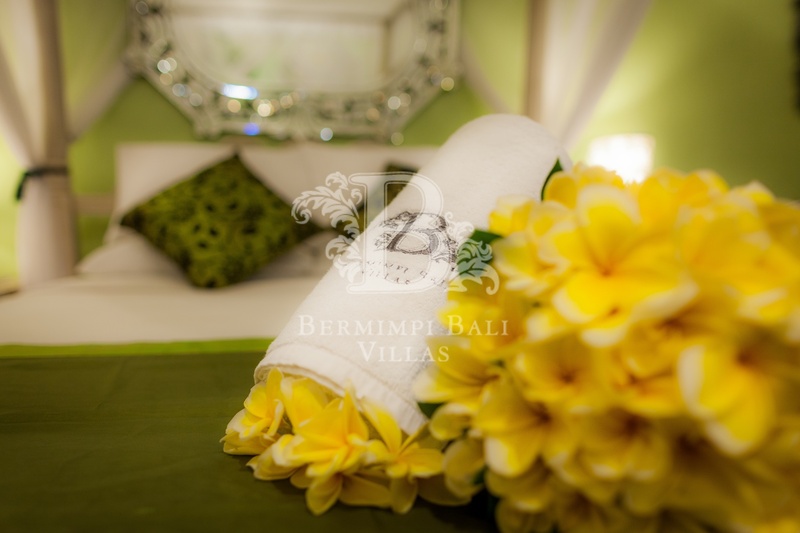 Bermimpi’s luxury Villa residences in Bali, near Seminyak beach, have all the charm and Balinese ambiance that makes our private and romantic villas in Bali very special two bedroom villas for a family holiday or friends wanting to share and getaway to a private, yet very romantic villa in Bali. 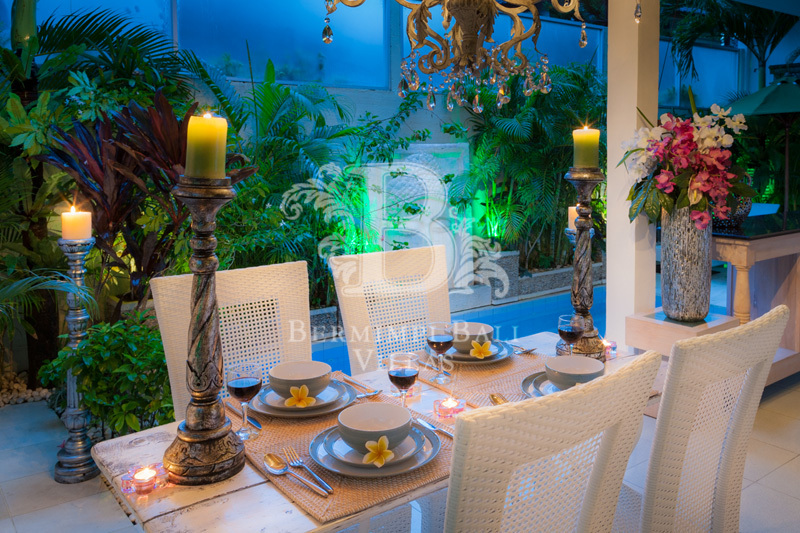 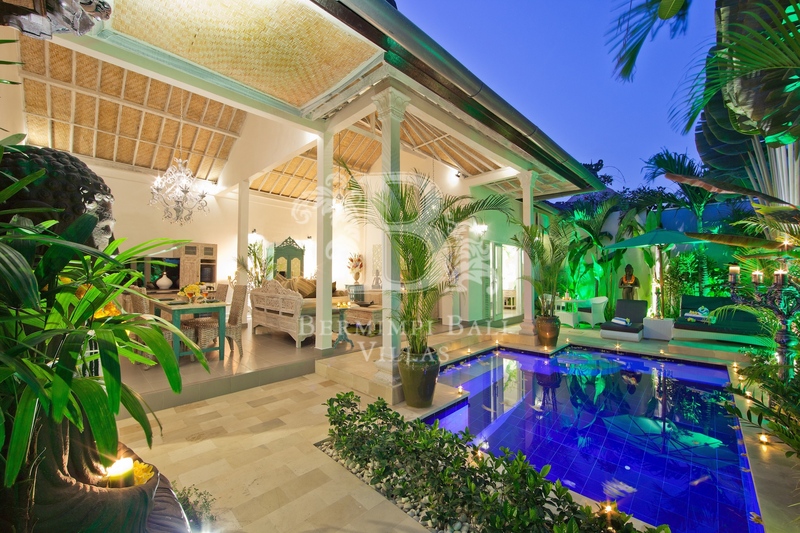 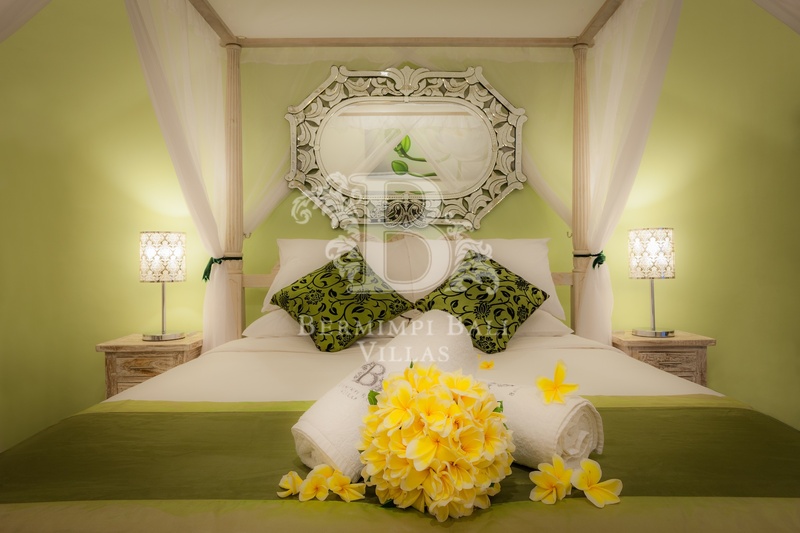 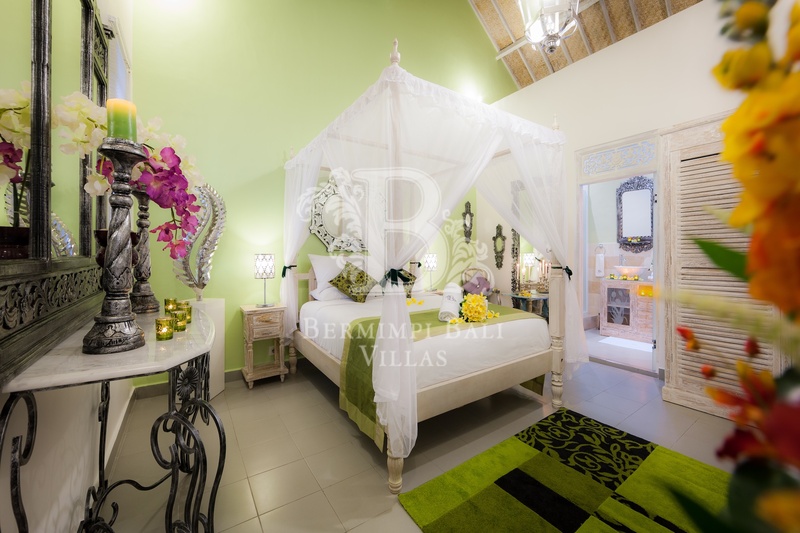 Book 2-bedroom private luxury rental villas in Bali Today! 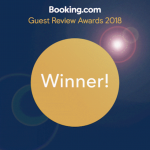 There are No hidden Surprises !! 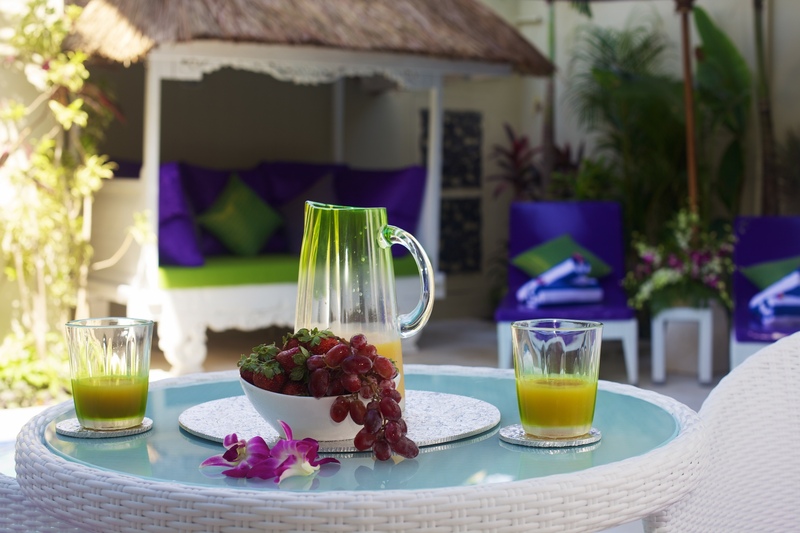 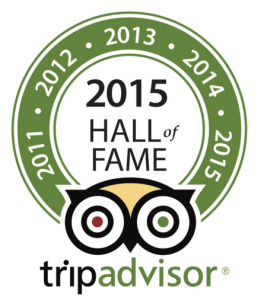 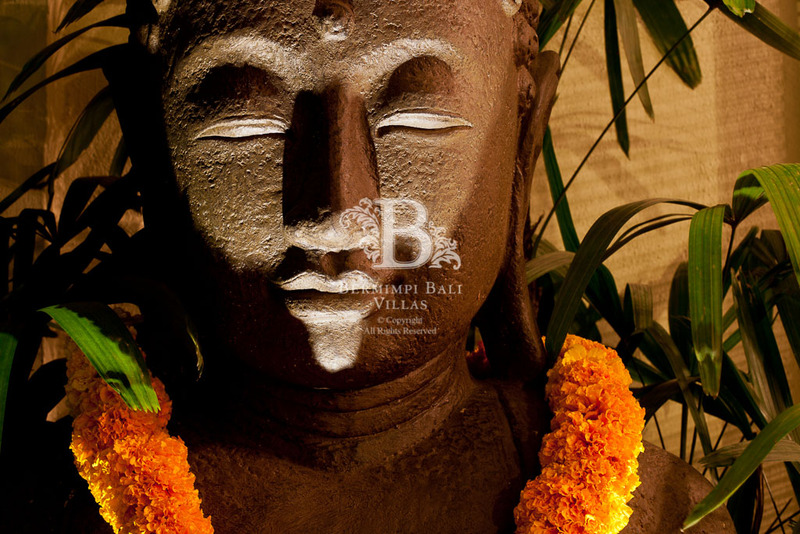 Unlike many other villas in Bali, our rates are inclusive of all taxes and service fees. There is nothing extra to pay. 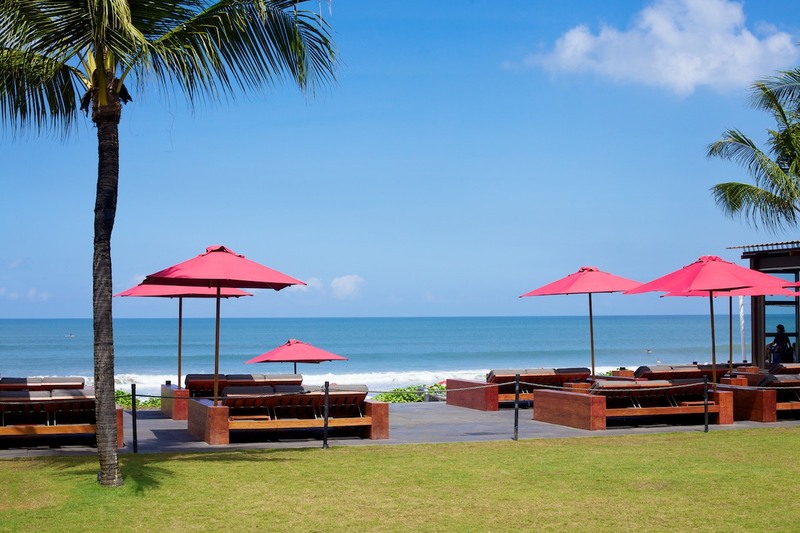 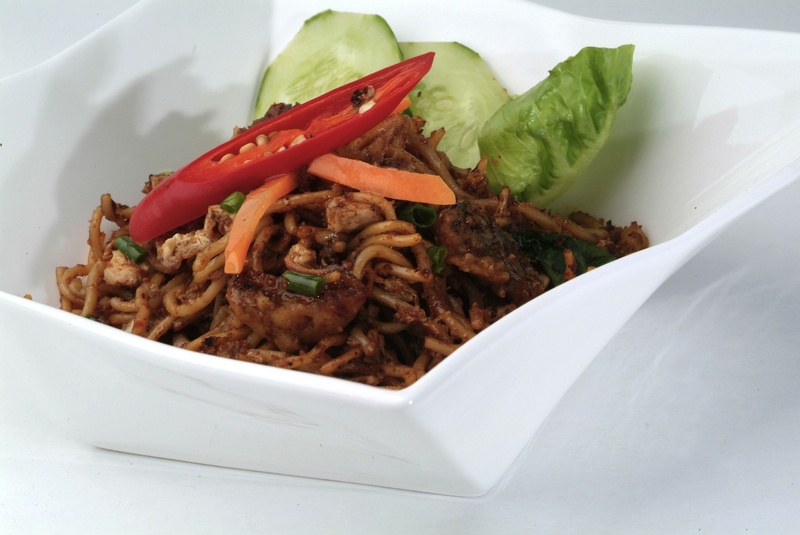 Food Delivery Service with menus from some of Seminyak’s most popular Restaurants. 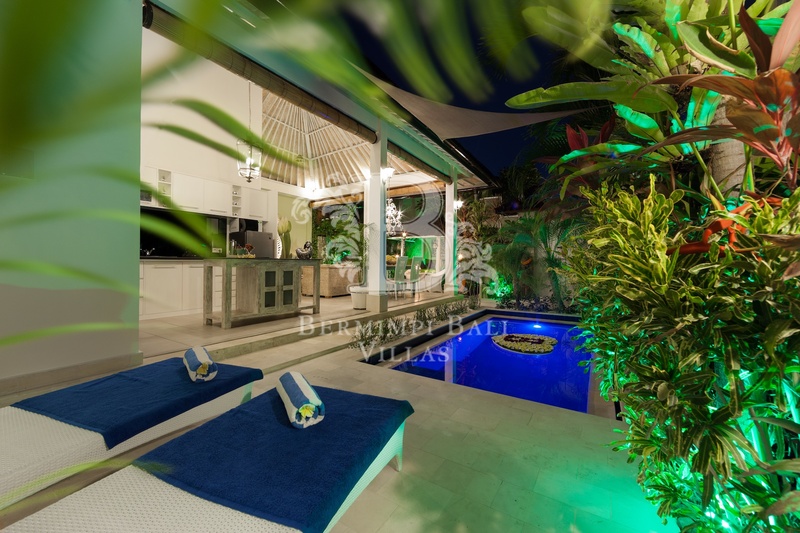 Just call from your villa’s phone. 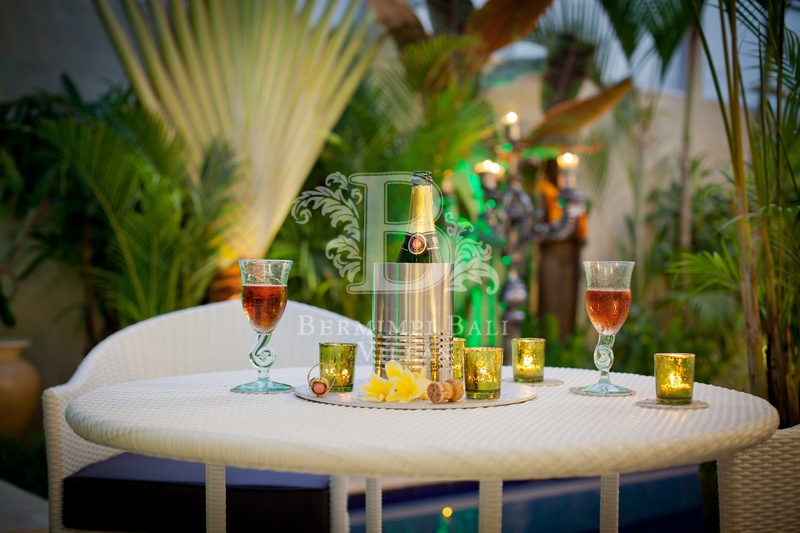 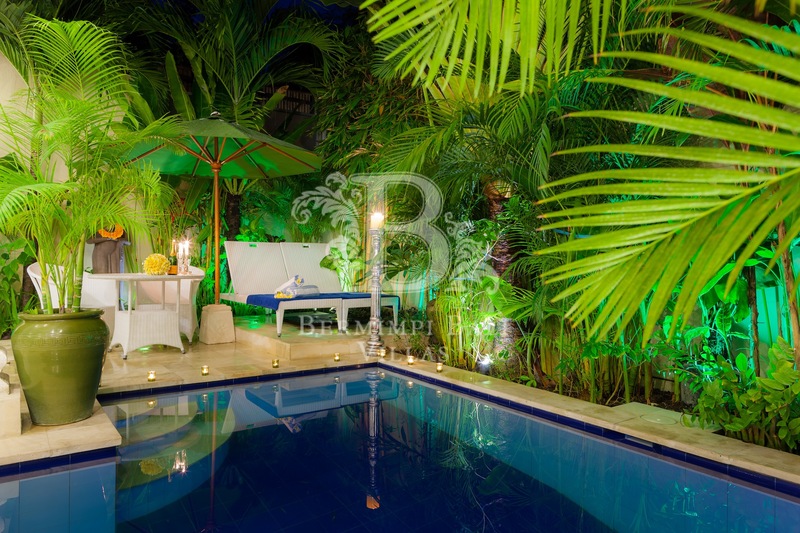 Private pool with tropical courtyard, pool-side loungers, umbrella and gorgeous Bali Bale for relaxing times.